Whether you’re an astronomy buff or just somebody looking for a perfect “look how sweet my smartphone is!’ application, Google’s Sky Map application for Android phones is a must have app. If all the application did was show you detailed views of the night sky it would be pretty awesome based on that alone. Where Sky Map dazzles, however, is in linking together the GPS and tilt-sensors on your phone to turn your phone into a sky-watching window. Whatever you point the phone at, the screen displays. Want to see what stars are directly above you despite it being the middle of the day? Point the phone up. Curious what people on the opposite side of the word are seeing? Point the phone down and take a peek right through the Earth. 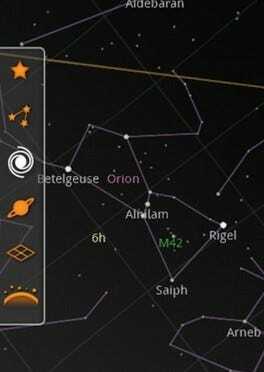 Google Sky Map is free and works wherever Android does.